London Coffee Festival - Marco Beverage Systems Ltd. The London Coffee Festival will be held from 25-28 April 2013 at The Old Truman Brewery on Brick Lane. This is the flagship event of UK Coffee Week and celebrates London’s bustling and vibrant coffee scene. With over 15,000 coffee lovers and foodies, professional baristas, coffee shop owners and top decision-makers expected to attend, The London Coffee Festival promises to be an unmissable event for all coffee lovers and industry folk alike. Some of the ‘festival zones’ are named after top London areas (Soho, Hyde Park and Shoreditch) and we will be in Soho at stand SO12. Don’t worry, the area doesn’t reflect it’s namesake area. Questionable dealings are kept at a minimum. The entrance can be found at 15 Hanbury Street, the Old Truman Brewery, London E1 6QR. The festival will begin with two industry days (25 and 26 April), and kick off its public celebration from 5pm on Friday 26 April with the Espresso Martini Launch Party starting at 8pm. Our stand will run along the theme we have established at all major shows in the last year document collaboration tools. 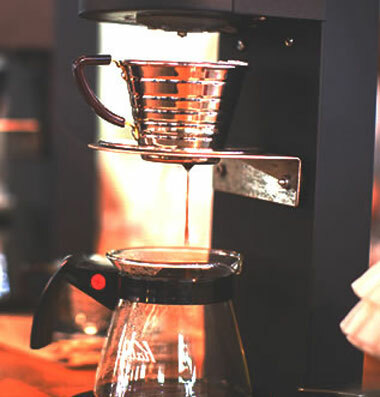 There will be a display area showcasing our full range of water boilers and coffee machines along with a brew bar where we will be manually brewing some fantastic single origin coffees. The show promises to be frantic and fun. Our UK team will be a permanent fixture on the stand along with a few familiar faces from our other offices. Hopefully we’ll see you there. What’s behind the brew bar?